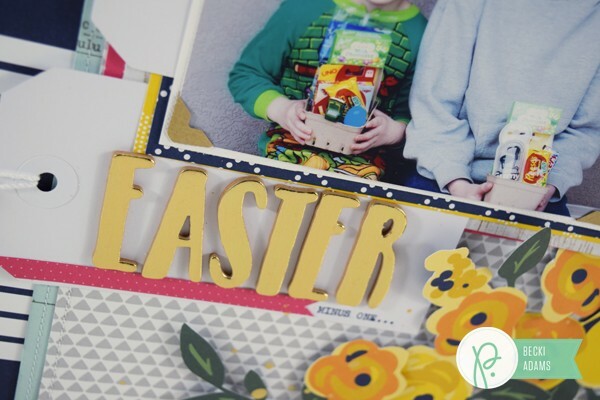 Easter Layout - Pebbles, Inc.
Hey there Pebbles friends, Becki here. 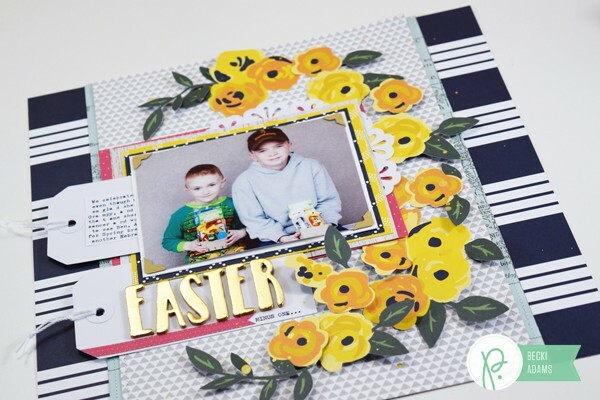 I’m excited to share with you a layout I created using the new Everyday collection. I’ve also got a special treat for you today. 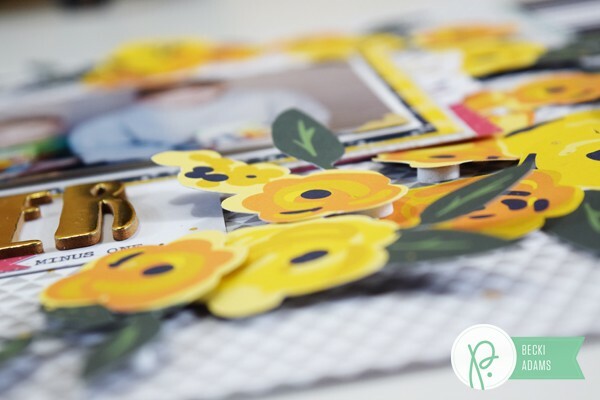 I created a process video to show you how this layout came together. Oh my, I LOVE this collection! I’ve already used it for SO many projects. I reach for it all the time. I love the bright, bold, classic colors. 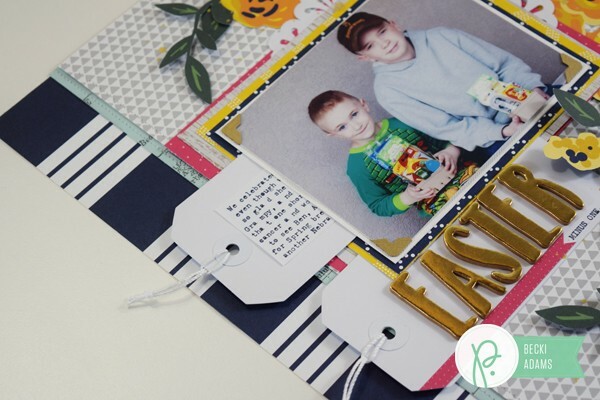 The first things I wanted to create with in this collection were the florals and stripes. I combined both of these on this layout. 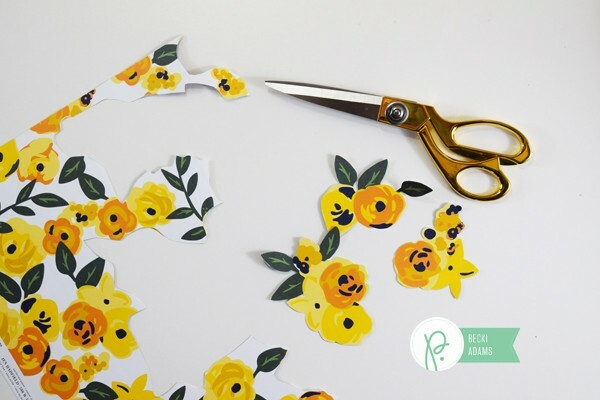 I grabbed my scissors and started fussy cutting flowers before I even chose the title or background paper for my layout . The details are what really make this layout shine. Thanks for stopping by the Pebbles blog. 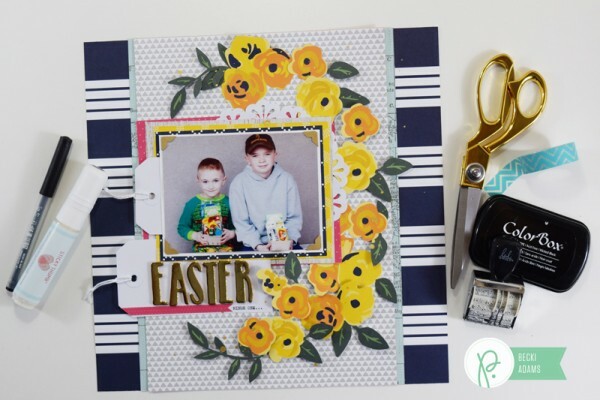 If you like this layout with stripes and florals, I’m sure you’d like THIS one too (it’s one of my personal favorites). Have a happy Wednesday.